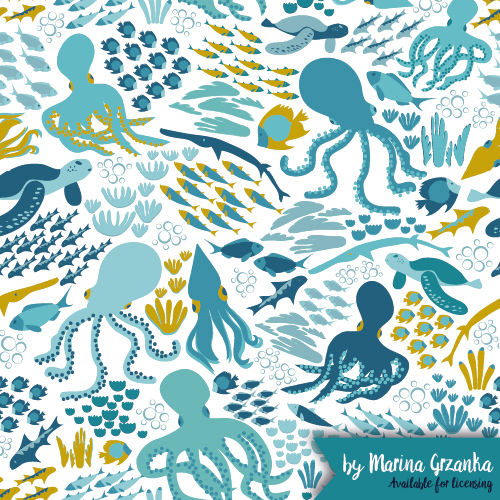 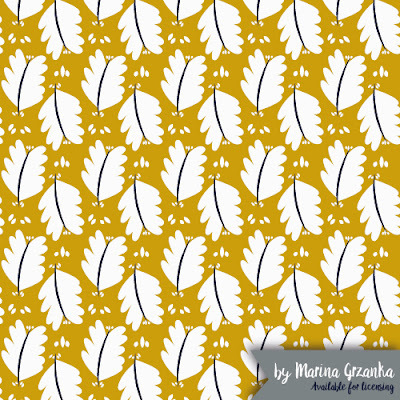 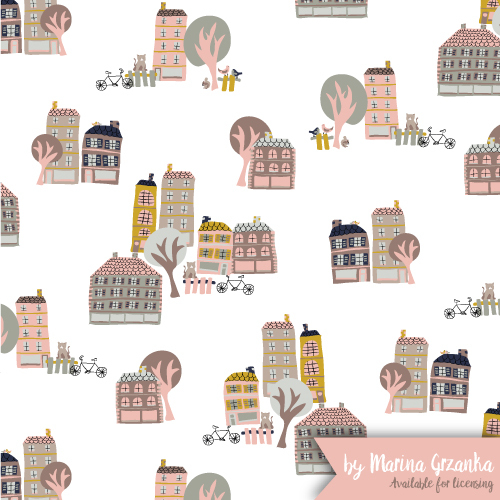 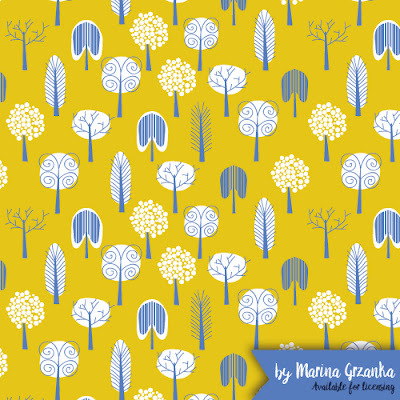 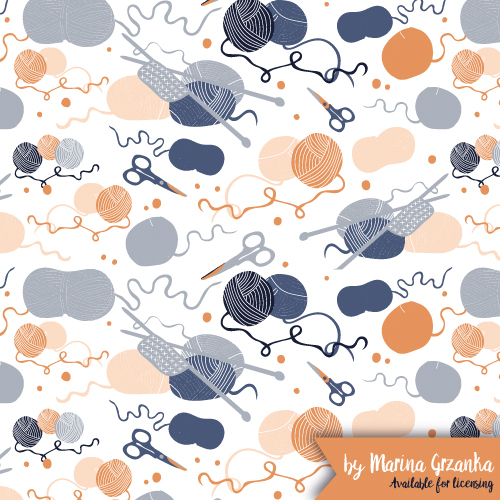 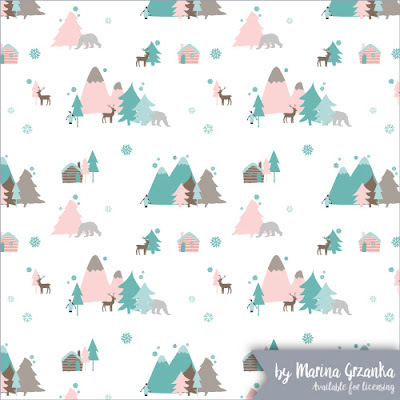 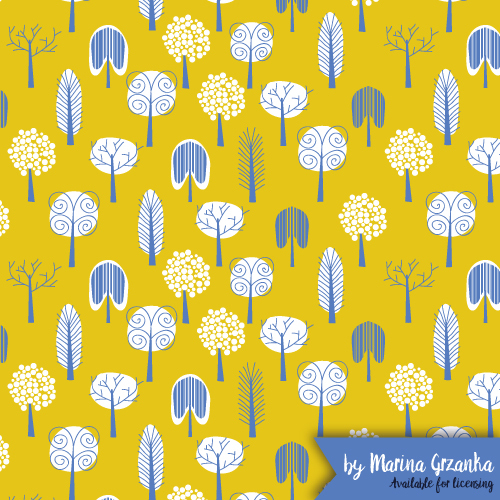 Marina Grzanka is a French illustrator and surface pattern designer who made her debut at Surtex last month represented by her agent Nerida Hansen. 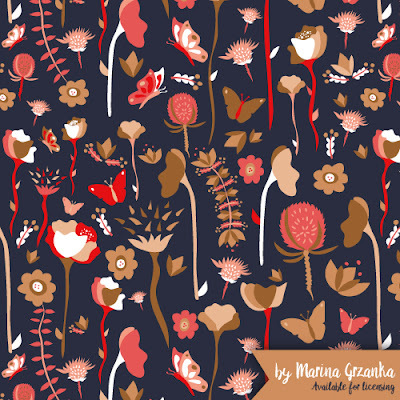 Marina says she "loves creating whimsical collections of patterns looking for great colour palettes". 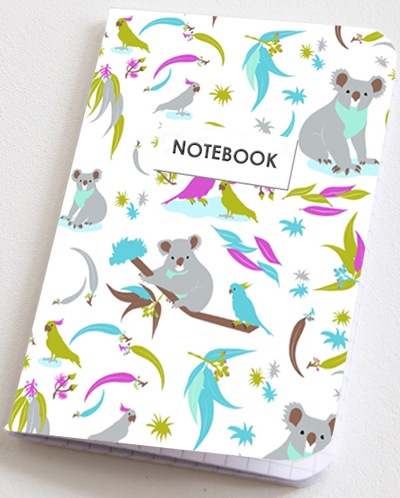 She has recently been working for Robert Kaufman Fabrics who licensed one of her collections specially for SPOTLIGHT and has also licensed three of her collections for the stationary company, Note Card Cafe. Marina is available for licensing, outright sales and commissions and her lookbook is available here.